Nissan Maxima, affordable luxury and performance. I love my 2010 Nissan Maxima, best car I have owned so far. It is fuel efficient without forfeiting too much power. It is equipped with 3. 5l 6cyl engine which is good for 290hp. The 3. 5 sv trim comes with push-to-start ignition, heated leather and a heated steering wheel which is a nice feature, especially if you live in a place with cold winters. It also has iPod integration and you can control the music and volume with the steering wheel mounted controls. It features a large information screen that will display climate, music, maintenance reminders and fuel range/economy as well as a backup camera. The center console opens in two places, providing plenty of storage. The lower compartment contains a USB port which can be used for your iPod or to charge your phone. Unfortunately, there is no way to stream music via Bluetooth in the 2010 model, however, Bluetooth can be utilized for phone calls. Premium fuel is recommended for this vehicle but not required. I have found that the vehicle performs just fine with regular fuel. Maintenance is not expensive as Nissan dealerships would have you believe. I have never paid more than $40 for an oil change. The only really pricey component would be the tires. The vehicle has 19" rims and thus requires a special type of tire. You'll spend $1, 000/set for higher end tires and $600-700/set for lower end. Other than the pricey tires and not being able to stream Audio via Bluetooth, I wouldn't change a thing about the 2010 Nissan Maxima. I love that it is one of the last cars they made with a v8 engine. I love Nissan. 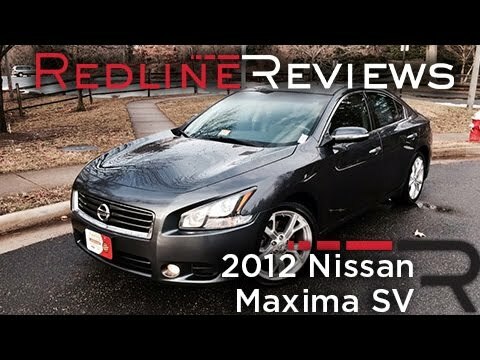 I think the 2010 maxima was one of the best models they made. The car is big, but does not look that big on the outside. The car is so roomy and comfy that I could sleep and live in that car. The car has never let me down. I had one issue with the steering locking up on me, but I was not driving at the time. I was working at awful job at one point till I could find better. They would give me awful hours and schedule me to work late and put me in snow storms. The car and god really got me through some awful snow storms, but I still prefer to keep myself and my car safe at home during storms. My car is not decked out. It was a second hand car. The fact that it has traveled across country and been through a lot with me shows how reliable Nissans are and make it good enough for me. 2010 Nissan maxima fully loaded, I love all the features! I have owned two (2) Nissan maxima's. My first one being a 2005 and current one being 2010. With both year models I have learned after roughly 170, 000 miles the timing chain goes bad and costing roughly $1, 400 for repair. The car is still drivable when the part goes bad but after awhile if the chain jumps it can seize up your whole engine causing you to replace the engine. Other than that I love my car and would totally recommend continuing to buy one if they would fix this very well known problem!